Cumberland, MD – Charles “Chuck” Kenneth Ware, Jr., 61, of Cumberland, MD, passed away Wednesday, March 28, 2018, at the Western Maryland Regional Medical Center. Born September 15, 1956, in Tucson, AZ, Mr. Ware was the son of the late Charles Kenneth Ware, Sr., and Joan Marie (Robison) Ware. He was also preceded in death by a brother: Ronald Ware. A graduate of Allegany High School, Class of 1974, Chuck was an employee of the Thomas B. Finan Center. He attended the Livingstone Church of the Brethren. 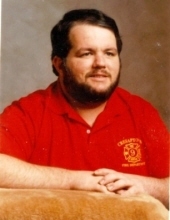 Chuck was a member of the Cresaptown Fraternal Order of Eagles Aerie #2883 and a life-member of the Cresaptown Volunteer Fire Department. Chuck is survived by his wife of 25 years: Cathy Ware; his stepson: Russell Lehr; his sisters: Kelly Ware; and Sharon Purcell and her significant other, Troy York; his canine companion: Kitty; as well as numerous aunts, uncles, nieces, nephews, and cousins. A memorial service will be conducted at the Livingstone Church of the Brethren, 114 North Cedar Street, Cumberland, MD on Saturday, March 31, 2018, at 6:00 P.M., with Pastor Gerald Hott and Pastor Tom Woods, Jr., officiating. The family will receive friends one hour prior to the service.